TOG’s highly skilled laboratory technicians take special care in fabricating prescription orthotics which meet the highest level of standards. 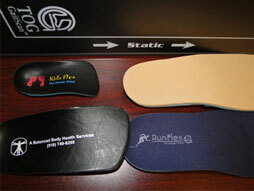 Each patient’s orthotics are designed from your professional prescription specifications. They are built to meet your individual biomechanical and lifestyle needs.